Randburg is home to a diverse and modern housing market, with remnants of age-old architecture that can be found in some Victorian-style homes. Randburg, situated in the north-west quadrant of Johannesburg, is a hive of activity due to partnerships between local government and the private sector which will see it redeveloped, reimagined and upgraded. This will undoubtedly have positive effects on the residential market, which is already experiencing a steady stream of new home buyers and tenants. When speaking to a number of media outlets, Executive Mayor Herman Mashaba, said that Randburg and the wider Johannesburg will benefit from a number of projects that will promote sustainable growth and investment, sustainable urban management, service delivery and sustainable human settlements. Government working together with the Johannesburg Development Agency or JDA, have a number of upgrades and new developments underway in the town. The transport sector is planned for an upgrade as new routes will connect residents to key suburbs around Johannesburg. Most notably, the Rea Vaya bus rapid transit system is set for a new route that will connect Randburg to areas such as the Johannesburg CBD, Sandton and Midrand. The link promotes easy travel for Randburg residents, especially those working in these major metropolitan areas. Rea Vaya is an invaluable initiative in the growth of Johannesburg as a whole - it connects residents from various suburbs to important and rapidly expanding commercial hubs, and as result, promotes inclusivity and convenience. When it began operating in 2009, it was one of the very first bus rapid transit systems and linked the Johannesburg CBD to Braamfontein and Soweto. Today, the new routes represent a significant step in enhancing public transport for the city. The JDA is an agency of the City of Johannesburg that was established in 2002 to stimulate economic development. Since its establishment, it has been involved in well-over 50 developments, some of which include the renowned Nelson Mandela Bridge, the highly acclaimed Constitutional Court buildings, and of course, the revolutionary Rea Vaya. Now, the JDA is implementing a number of new upgrades in Randburg to restore old buildings, improve the aesthetic of public spaces and stimulate urban development. Last year saw upgrades to Johannesburg City Parks and Zoo and the re-launch of the Brightwater Commons, now known as Ferndale on Republic. This year, the agency will implement urban renewal upgrades to streets, sidewalks, parks, lighting, paving, bollards, bus shelters and pedestrian guard railings. Renewal plans will also include the planting of street trees and installing benches and bins in busy areas. Vital roads, including Bram Fischer and Jan Smuts intersection, and Bordeaux Drive will also receive significant upgrades. Once complete, mobility and safety will be enhanced for both vehicles and pedestrians. And this is of particular importance considering that these routes are incredibly busy as it is used by a growing number of vehicles and pedestrians. A cornerstone of the JDA's wider mission is a provincial strategy known as the Growth and Development Strategy 2040. The aim is to create a strong, well-maintained and sustainable urban environment that is seamlessly linked to transport arteries and mixed-use developments. A suburb, town or city that is well-maintained, constantly evolving and places importance on service delivery will always be a destination of choice for residents. 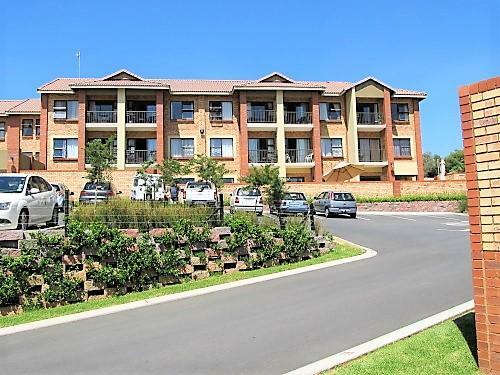 These are just some of the reasons that Randburg is home to a bustling residential community that is showing signs of incredible growth and long-term development. It is home to a diverse and modern housing market, with remnants of age-old architecture that can be found in some Victorian-style homes. 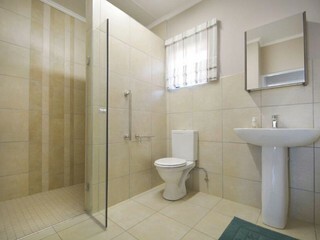 Here, you can uncover luxurious mansions, modern apartments, tranquil retirement homes and spacious family homes. The local government together with the JDA will continue to promote regeneration and enhance infrastructure and public transport facilities - these initiatives will ultimately build a more robust, liveable, walkable and safe Randburg for residents from all walks of life. To find out more about the available homes in Randburg to buy or rent, speak to our helpful real estate agents from CSi Property Group today.